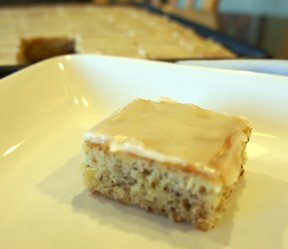 Very moist banana bars! 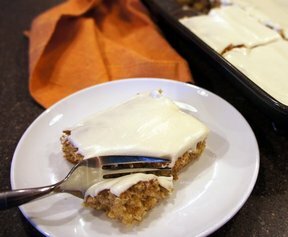 This recipe is doubled because I like my bars more like cake! Cream butter and sugar; add eggs. Beat well. 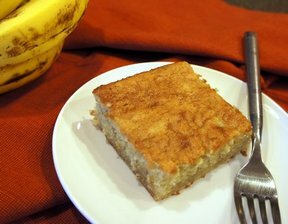 Add sour cream, bananas, vanilla, flour, salt, soda and nuts. Beat well. Pour into a greased jelly roll pan and bake at 350 for about 30 minutes. 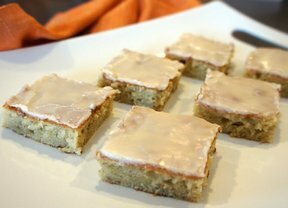 Frost with powdered sugar frosting, using coffee for the liquid, if desired.